They know when to hold 'em — and when to fold 'em. President Donald Trump has derided the team Robert Mueller had assembled to probe Russian meddling in the 2016 presidential election as "angry Democrats" operating a corrupt "witch hunt," but the group has a stellar track record of rooting out corruption — and of walking away when they don't have enough to prove their case beyond a reasonable doubt. 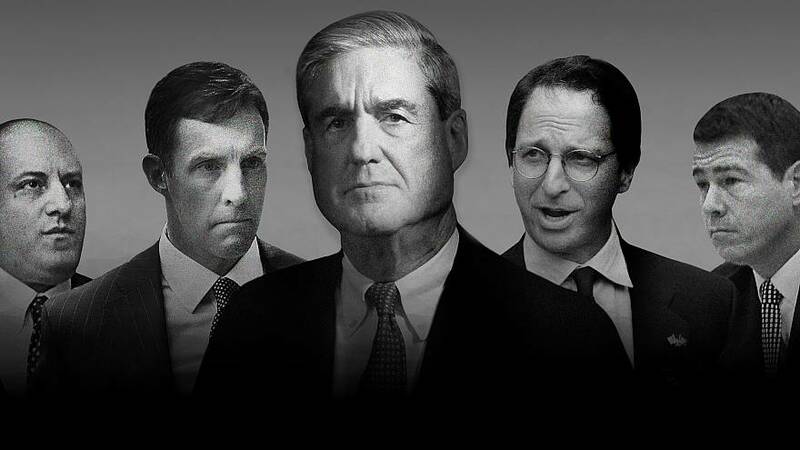 "It's probably one of the most impressive groups ever assembled for a special counsel investigation," Jim Walden, a former federal prosecutor in Brooklyn, told NBC News. "You've got a collective of prosecutors who've covered some of the most high-profile and complex investigations in the last 20 years." Since Mueller's appointment as special counsel in May 2017, at least 18 prosecutors and lawyers have worked on the inquiry, which is tasked with investigating "any links and/or coordination between the Russian government and individuals associated with the campaign of President Donald Trump" and any matters that "may arise directly from the investigation." The probe resulted in 34 people and three companies being criminally charged, and there have been seven guilty pleas and one trial conviction. The team members' specialties range from constitutional law and obstruction of justice to money laundering and cyber crimes. While they have a history of successful prosecutions, they also have a reputation for fairness, said Walden, who represents one of the witnesses in the investigation. "Every one of these prosecutors has walked away from cases that didn't fit their criteria," Walden said. "They're doing this because they want to do the right thing." Trump has complained that the team is made up of "some very bad and conflicted people" because 13 of them are registered Democrats, and several have made donations to Democratic candidates. Justice Department officials, however, are not supposed to ask about employees' political affiliations. Department policy prohibits "using political affiliation and may also prohibit using certain ideological affiliations in hiring and taking other personnel actions with regard to career attorneys," according to the department's inspector general. Mueller and the deputy attorney general who appointed him, Rod Rosenstein, are both registered Republicans. Each team member brings a specific expertise. Andrew Goldstein has been involved with the investigations into Trump's former longtime lawyer Michael Cohen and former adviser Roger Stone. A former top public corruption prosecutor for then-Manhattan U.S. Attorney Preet Bharara, Goldstein helped to convict a New York State Democratic powerhouse, longtime Assembly Speaker Sheldon Silver, on corruption charges. Goldstein, a former Time magazine reporter and high school teacher, also prosecuted the CityTime case, involving an automated timekeeping project for New York City employees that exploded in cost from an expected $63 million to more than 10 times that in what the Department of Justice called "the largest municipal fraud and kickback scheme in history." The probe, the department said, was "a dogged investigation that involved tracing payments through more than 150 foreign and domestic accounts, poring through hundreds of thousands of emails and project documents, interviewing more than 100 witnesses, and securing cooperation from two key insiders." But Goldstein was also involved in the 2017 decision not to charge New York City Mayor Bill de Blasio in a bribery probe even though a campaign donorpleaded guilty to trying to get favorable treatment through his contributions, The New York Times reported. While court documents said de Blasio took steps to benefit the donor in exchange for the contributions, federal prosecutors decided not to pursue charges against him because of "the high burden of proof" and "the particular difficulty in proving criminal intent in corruption schemes where there is no evidence of personal profit," Goldstein's then-boss, acting Manhattan U.S. Attorney Joon Kim, said at the time. 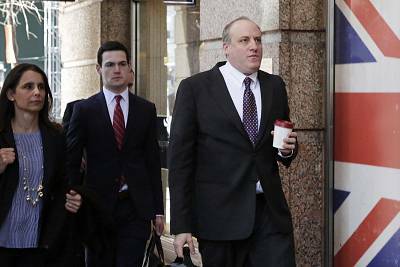 Greg Andres is a former deputy assistant attorney general in the Justice Department's criminal division, where he managed a program that targeted foreign bribery. Before that, he took on the mob as a prosecutor in the U.S. attorney's office in Brooklyn. He was so successful he was allegedly targeted for assassination in 2005 by the acting boss of the Bonanno crime family, Vincent "Vinny Gorgeous" Basciano. "He [Basciano] said Greg Andres destroyed the Bonanno family, he ruined all our lives," cooperating witness Generosa Barbieri — AKA "Jimmy the General" — testified in Basciano's 2011 murder trial,according to the Daily News. "He said we should make an example of him." Andres left the DOJ in 2012 and became a defense attorney at a New York law firm. Zainab Ahmad also worked in Brooklyn U.S. attorney's office, where she focused on terrorism. That work included negotiating with foreign officials and interviewing witnesses overseas. "Everybody's human. You pull the levers," she told The New Yorker in 2017, referring to terrorists. Themagazine reported that she had prosecuted 13 people for terrorism since 2009 and never lost a case. Ahmad was involved with former Trump national security adviser Michael Flynn's guilty plea, and worked with Andres in the prosecution of former Trump campaign chairman Paul Manafort. James Quarles, who worked with Mueller in private practice at the Washington office of WilmerHale, has investigated a president before. From 1973 to 1975, he was an assistant special prosecutor for the Watergate Special Prosecution Force, which helped force Richard Nixon out of office and prosecuted a number of Nixon administration officials. Jeannie Rhee worked with Mueller and Quarles at WilmerHale. She rejoined the firm in 2011, resuming work advising clients who are the subject of government investigations, including white-collar criminal investigations, the firm said in its announcement, after spending two years as a deputy assistant attorney general in the DOJ's Office of Legal Counsel. There, she "advised the attorney general, the White House and senior agency officials on constitutional, statutory and regulatory issues regarding criminal law, criminal procedure, executive privilege, civil rights and national security," the law firm said. Aaron Zebley is another WilmerHale alum and is especially close to Mueller; he was his chief of staff at the FBI. Zebley is also a former FBI agent who was involved in an international hunt for al Qaeda terrorists before the Sept. 11, 2001, terrorist attacks. He continued probing al Qaeda from FBI headquarters after the attack and later worked in the DOJ's national security division, which oversees counterterrorism and counterintelligence investigations. Elizabeth Prelogar is an appellate lawyer from the Office of the Solicitor General, which represents the federal government in cases before the U.S. Supreme Court. A former Miss Idaho, Prelogar clerked for Justices Ruth Bader Ginsburg and Elena Kagan, as well as for Judge Merrick Garland, whom President Barack Obama unsuccessfully nominated for the high court. Of possible importance to Mueller, she lived in Russia and studied Russia media while on a Fulbright scholarship before getting her law degree from Harvard. 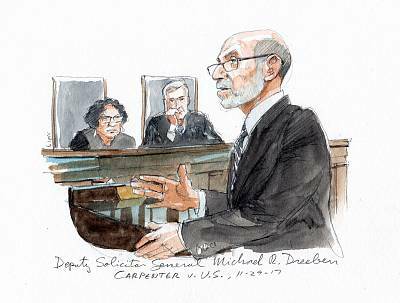 Michael Dreeben also came from the Solicitor General's office and has argued more than 100 cases before the Supreme Court. Chief Justice John Roberts — who, as a lawyer, was Dreeben's adversary in the government attorney's first argument before the high court in 1989 — congratulated him when he hit the century mark in 2016. "You are the second person to reach that rare milestone this century," Roberts said, according to SCOTUSblog. "We look forward to hearing from you many more times." 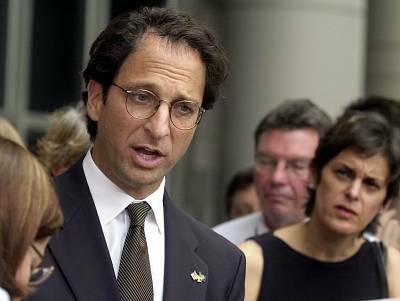 Andrew Weissmann is the chief of the criminal fraud section of the DOJ and a favorite target of conservative pundits, in part for having signed off on a no-knock search warrant for former Trump campaign chairman Paul Manafort. Fox News host Sean Hannity has called him "a legal nightmare" and "a legal tyrant." Weissmann rose through the ranks in the U.S. attorney's office in Brooklyn, where he prosecuted over two dozen mob cases. He was lead prosecutor in the trial of Vincent "the Chin" Gigante, a mob boss who was notorious for walking around in a bathrobe and pretending he was crazy. Weissmann's greatest successes and failures came when he directed the task force investigating Enron, a giant energy company based in Texas that collapsed in 2001. The team racked up over 30 convictions in the highly complex case, but one of them, involving the company's outside auditing firm Arthur Andersen, was reversed by the Supreme Court. Rush Atkinson worked under Weissmann in the DOJ's criminal fraud section, where he specialized in financial fraud. He's also worked on espionage cases. Atkinson has been involved with the prosecution of 13 Russians who are accused of using social media to try to create discord during the 2016 presidential election. Aaron Zelinsky, who comes from the U.S. attorney's office in Maryland, has played good and bad cop while questioning witnesses in the Russia probe, some of thosewitnesses told MSNBC's Ari Melber. Zelinsky, who has clerked for Supreme Court Justices Anthony Kennedy and John Paul Stevens, was professional and asked appropriate questions, former Trump campaign adviser Sam Nunberg told Melber. Another witness, Jerome Corsi, said Zelinsky was "a thug" who was "acting up" during his questioning. Adam Jed worked as an appellate lawyer in DOJ's civil division and has experience in asset forfeiture. In the Mueller case, the Harvard Law graduate hasreportedly worked to keep some documents sealed from public view. Like Zelinsky, he has clerked for Justice Stevens. 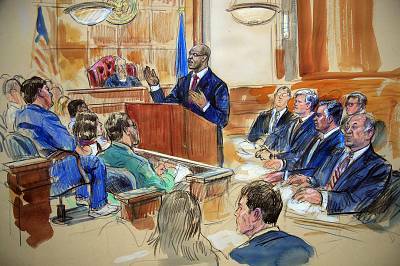 Uzo Asonye, deputy chief of the financial crimes and public corruption unit of the U.S. Attorney's Office for the Eastern District of Virginia, was the lead prosecutor in the Manafort trial. Other members of Mueller's team have already concluded their work. Scott Meisler, who like Weissmann and Atkinson worked in DOJ's criminal division, returned there in December. Meisler worked on the Manafort prosecution, and along with Ahmad has fought to obtain information from a still-unidentified foreign company. Kyle Freeny left in October, returning to DOJ's money laundering and asset forfeiture section. She'd worked on the Manafort case, and on the indictment of a dozen Russians charged with hacking into the emails of the Democratic National Committee and Hillary Clinton's campaign chairman. At the DOJ, Freeny was involved in prosecuting a multibillion-dollar money laundering case involving a Malaysian financier who allegedly used some of the cash to finance the movies "The Wolf of Wall Street" and "Dumb and Dumber To." Brandon Van Grack, who was involved in the Flynn and Manafort plea deals, went back to DOJ's national security division and will lead the enforcement of foreign lobbying law, the department announced. He previously specialized in economic espionage and cyberthreats. Ryan Dickey, who specializes in computer crime at the DOJ, left the investigation in August. He was the first computer crime specialist to join the team, having helped to prosecute a notorious Romanian hacker who used the online alias Guccifer. Dickey assisted in the Mueller cases involving Russians, some of whom who'd pretended to be a hacker going by the alias "Guccifer 2.0." Brian M. Richardson went to work as an appeals lawyer for Mueller after finishing up a clerkship for Supreme Court Justice Stephen Breyer. He'd helped with the case against Dutch lawyer Alex Van Der Zwaan, who pleaded guilty to lying to Mueller's team about his dealings with Manafort deputy Rick Gates.